Technology is continuing to change the face of foodservice in convenience stores. 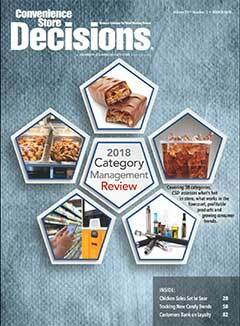 With every passing day, month and year, better for-you foodservice options continue to infiltrate the convenience store industry. Slowly but surely, the c-store industry is broadening its foodservice options for customers in a way that rivals restaurants. In fact, according to Nation’s Restaurant News “Wawa, Sheetz, Casey’s General Store, 7-Eleven and Circle K” have now made its “2018 Top 100” restaurants report. That’s quite the achievement for the c-store industry. Speed of Service. The use of technology to manage the repetitive task of order taking is one of the best ways to speed the process. This allows you to focus on producing a high-quality product in a shorter amount of time while delivering great service to the customer. No one likes to wait—a faster process means happier customers. Order Accuracy. The possibility for miscommunication between you and the customer is eliminated. Customers can review their order as they place it and make any changes before the order is submitted to the kitchen. Not only do inaccurate orders lead to waste, but they also annoy the customer. Choice. Touchscreen kiosks and mobile apps clearly communicate all available options and specials in an easily understood, step-by-step process. In addition, after placing their order, customers can browse the store or mobile device for additional items. That being said, going from here to there when it comes to implementing new technology platforms, can be a daunting task. Facilities considerations: placement, power and networks. Hardware and software support process. The convenience store industry has made tremendous strides in the past decade and is poised to continue to prosper with foodservice. Better-for-you items combined with a technology platform such as in-store kiosks or mobile device ordering will continue to attract more customers—especially from quick-service restaurants. The race for “share of stomach” is on.